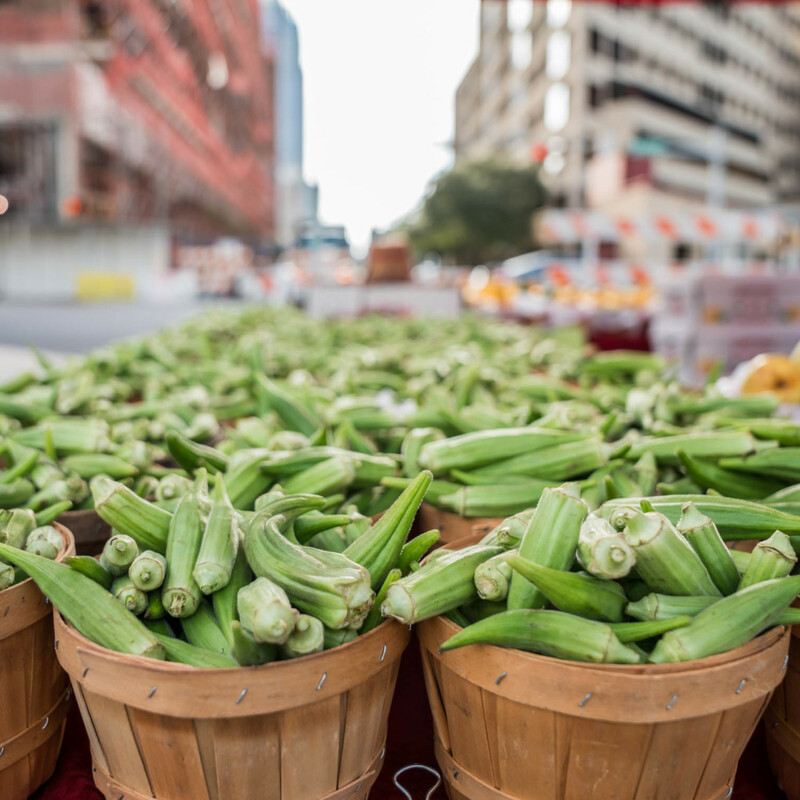 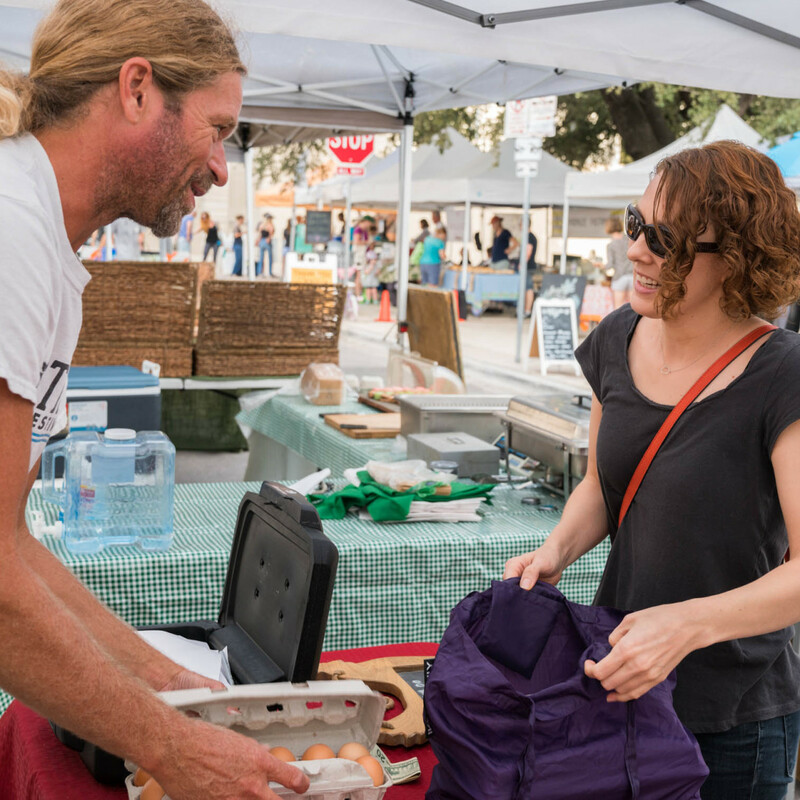 Early risers got an extra special treat at the SFC Farmers' Market Downtown on September 8. 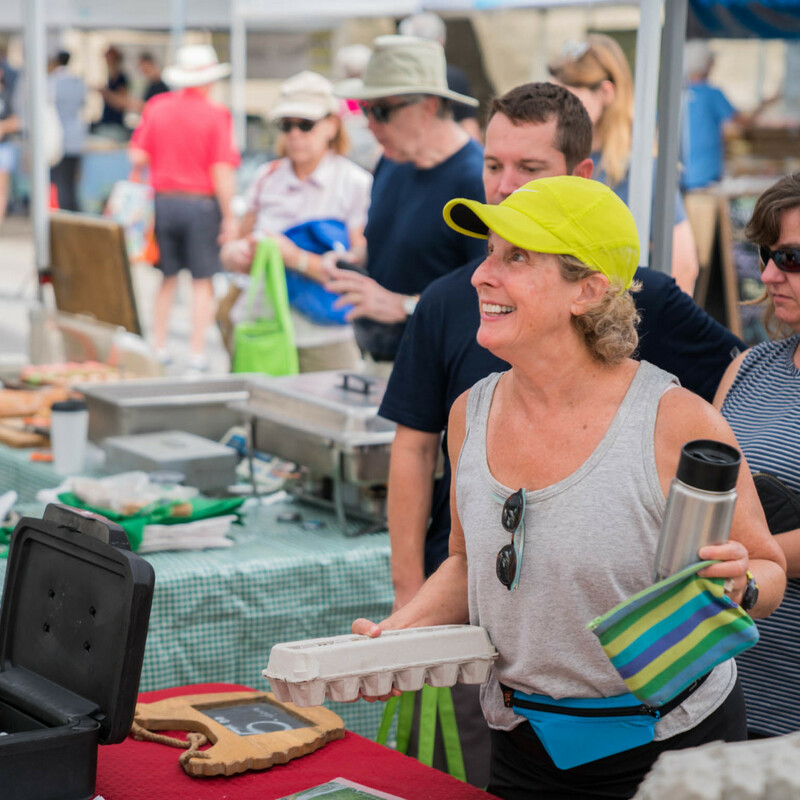 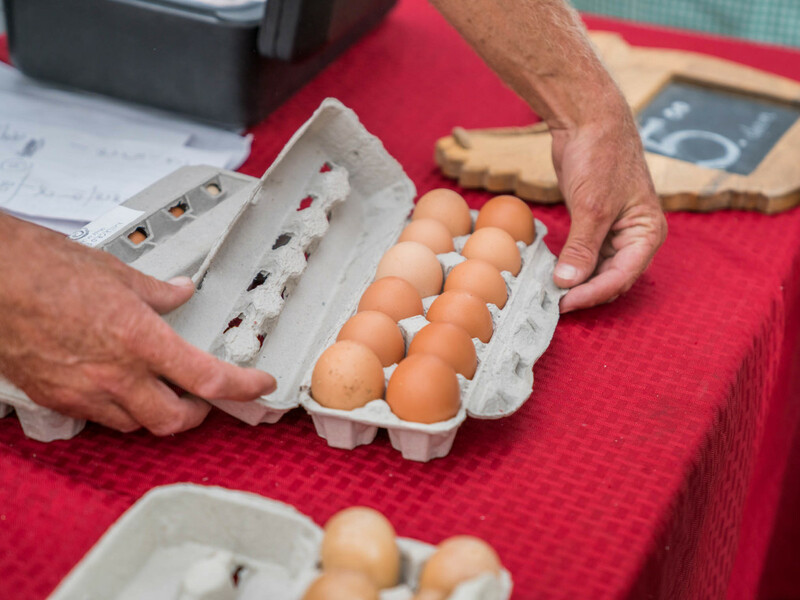 CultureMap and Frost Bank hatched a plan with Milagro Family Farm to surprise the dozens of Saturday morning shoppers lining up early for the farm's famed solar-powered eggs. 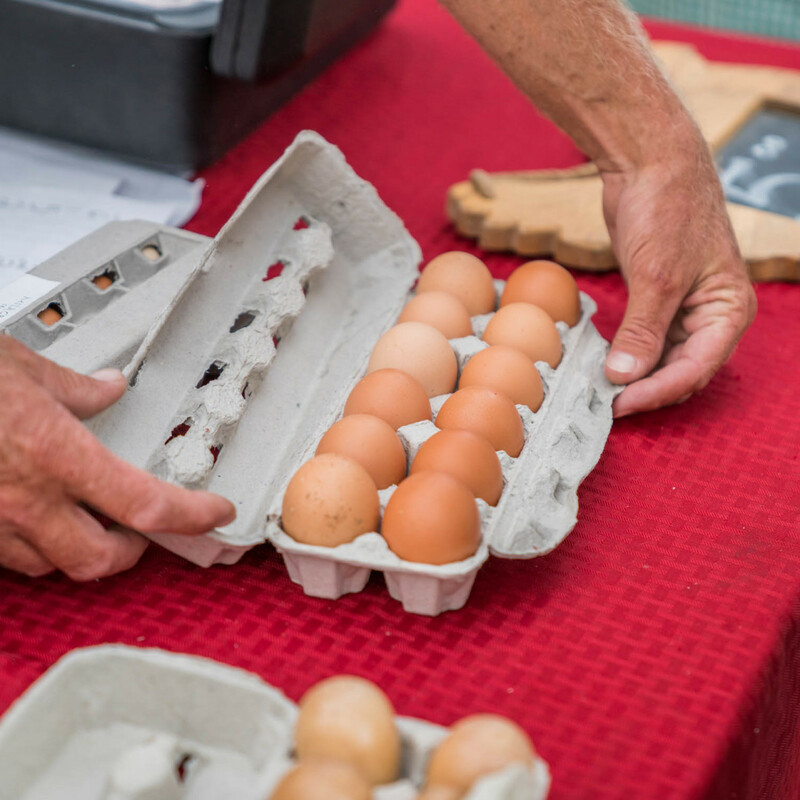 When the market opened at 9 am, customers ready to buy their weekly carton learned the first 50 dozen were on the house — and accompanied by a special surprise. 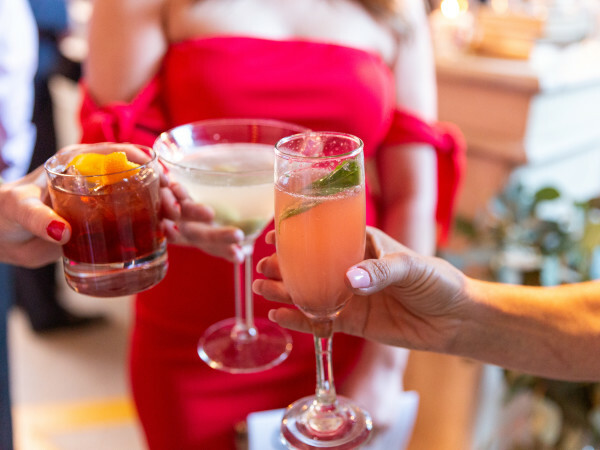 Along with a dozen of Milagro's best, customers were also given a $10 Frost cash card and asked to use the money to pay it forward and do something kind for someone else. 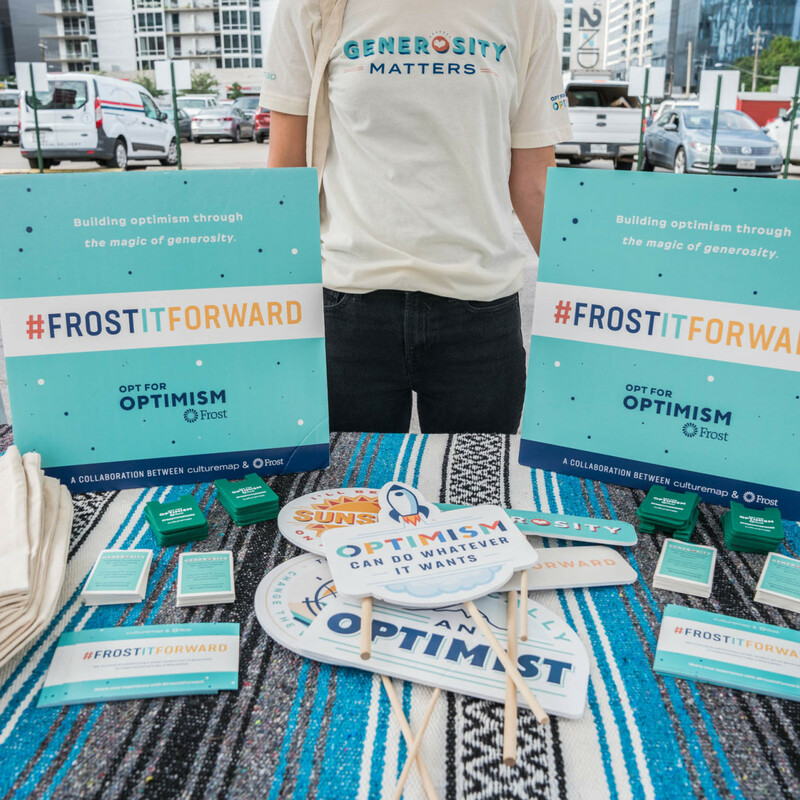 The winners were also asked to share their good deeds on social media along with the hashtag #frostitforward to score a pair of tickets to Austin City Limits Music Festival. 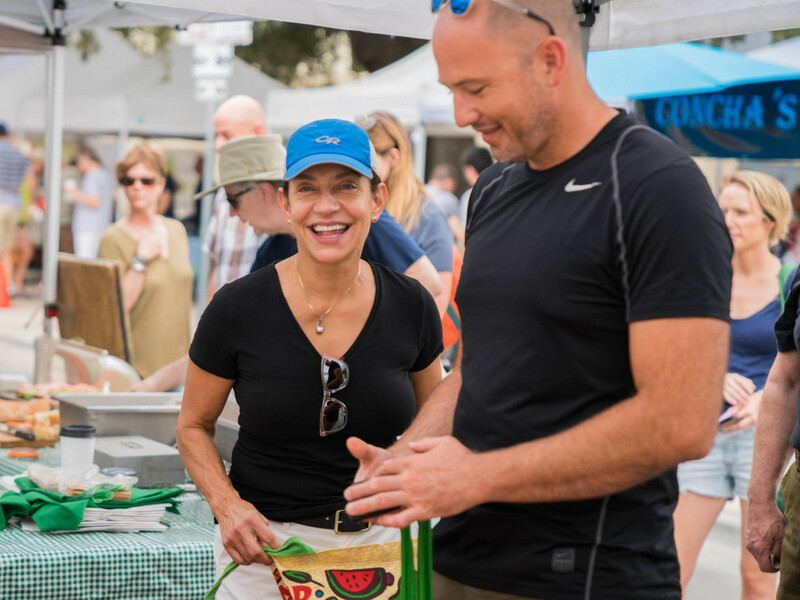 Eggs safely tucked into their Frost canvas tote bags, market shoppers spent the rest of the morning strolling through Republic Square Park, sipping chai, eating Tacodeli breakfast tacos, and scoring fresh veggies from local vendors like Johnson's Backyard Garden. 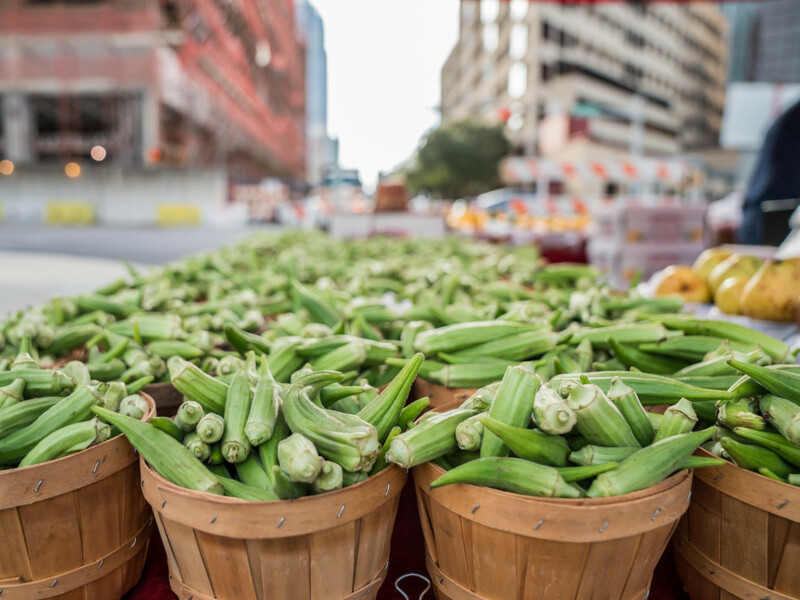 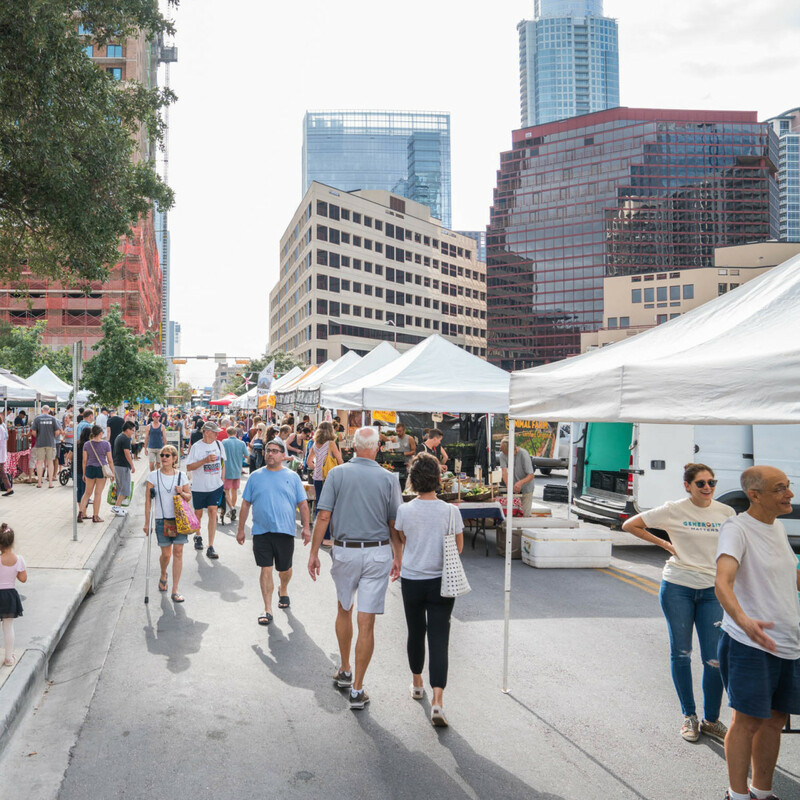 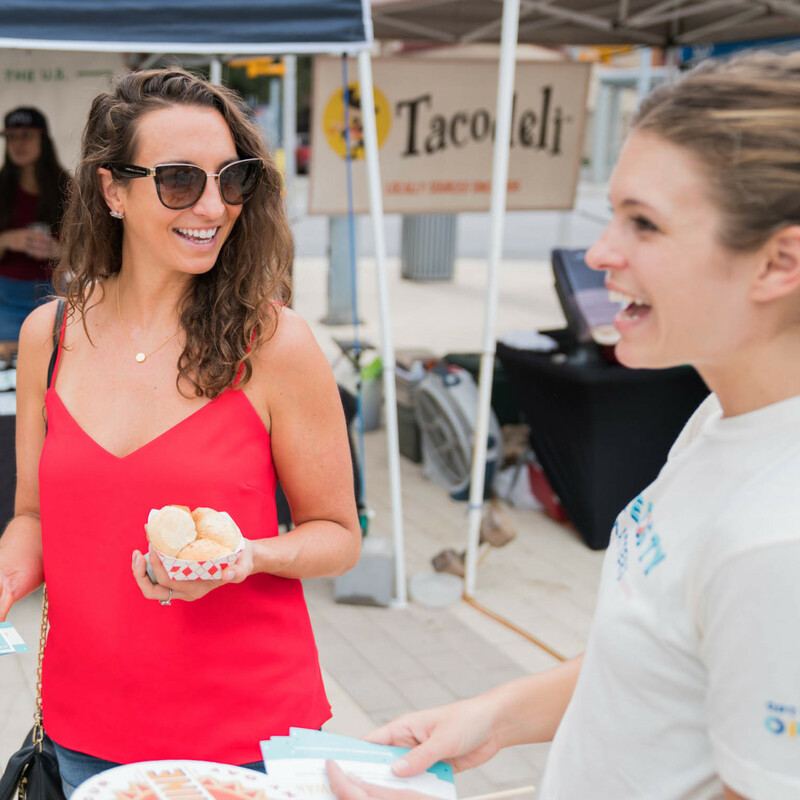 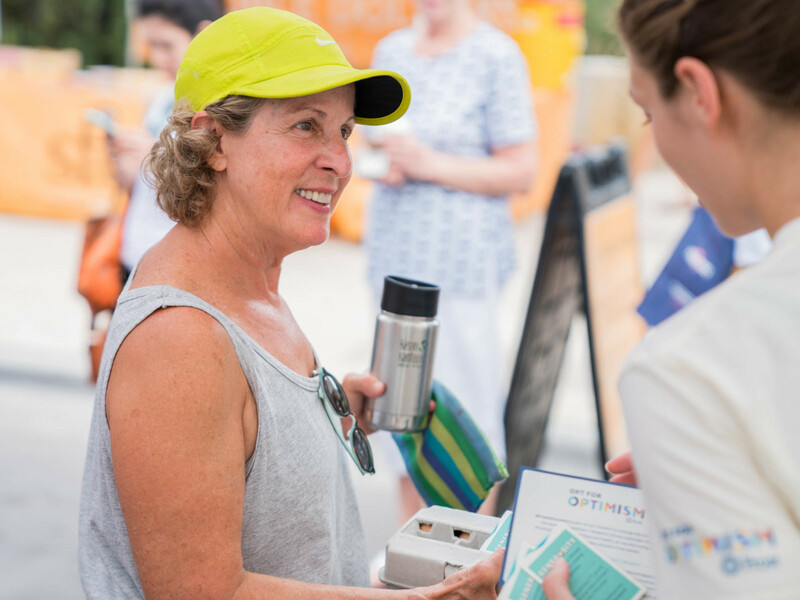 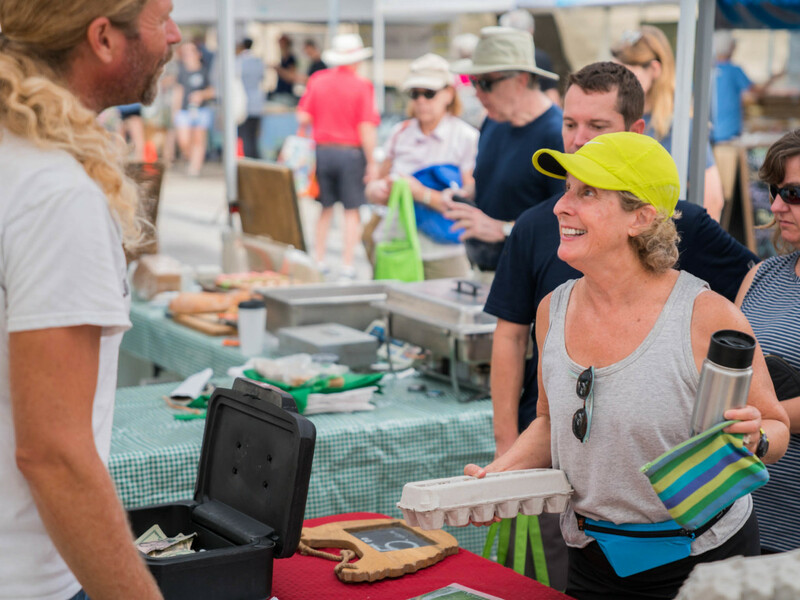 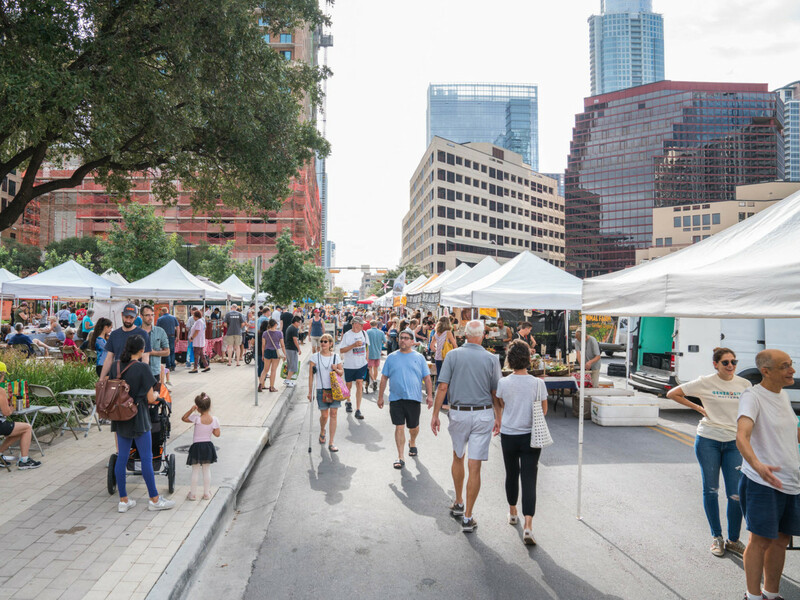 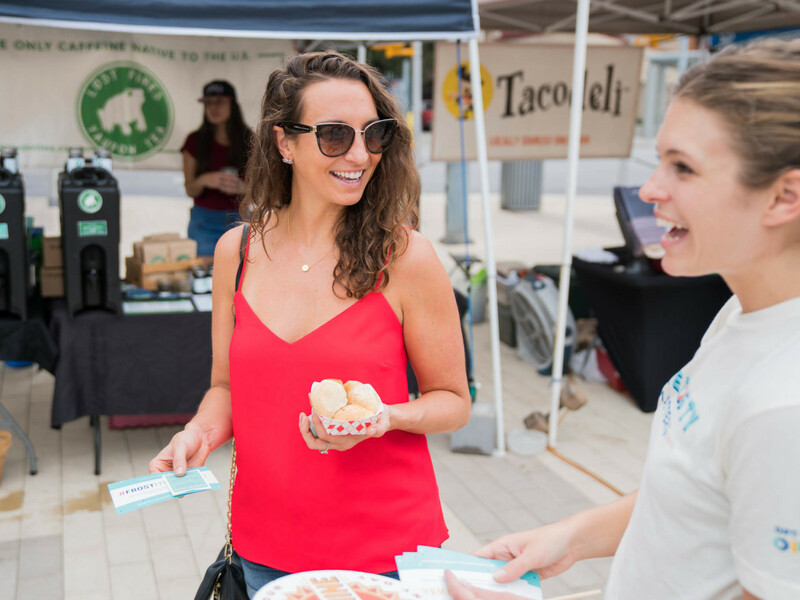 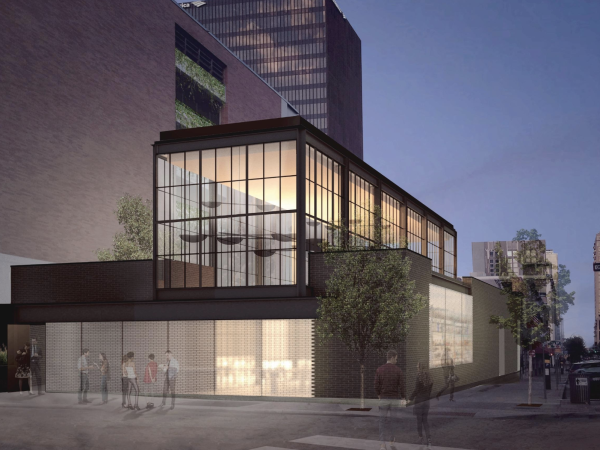 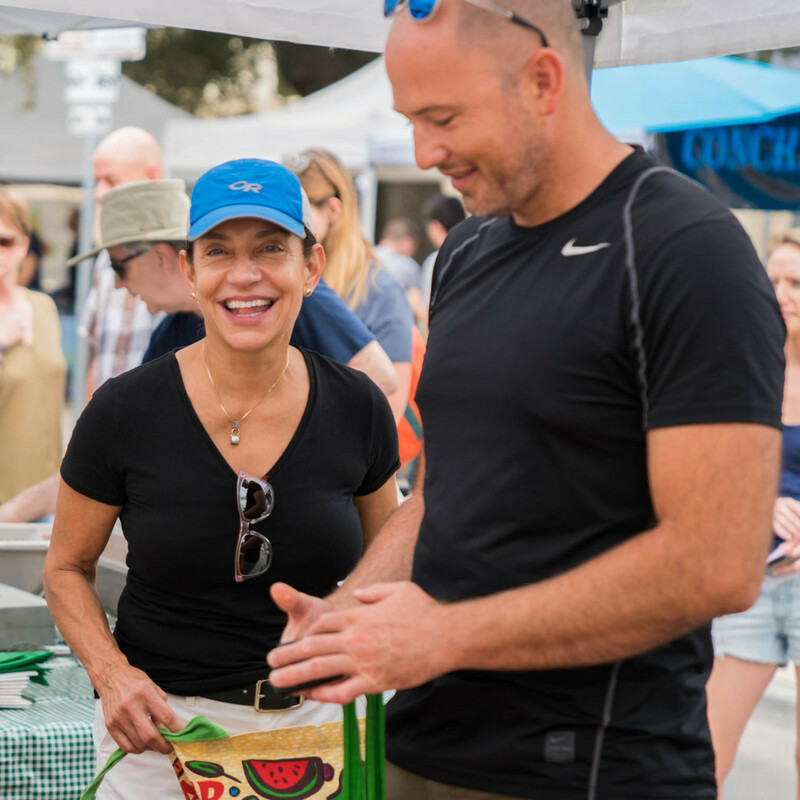 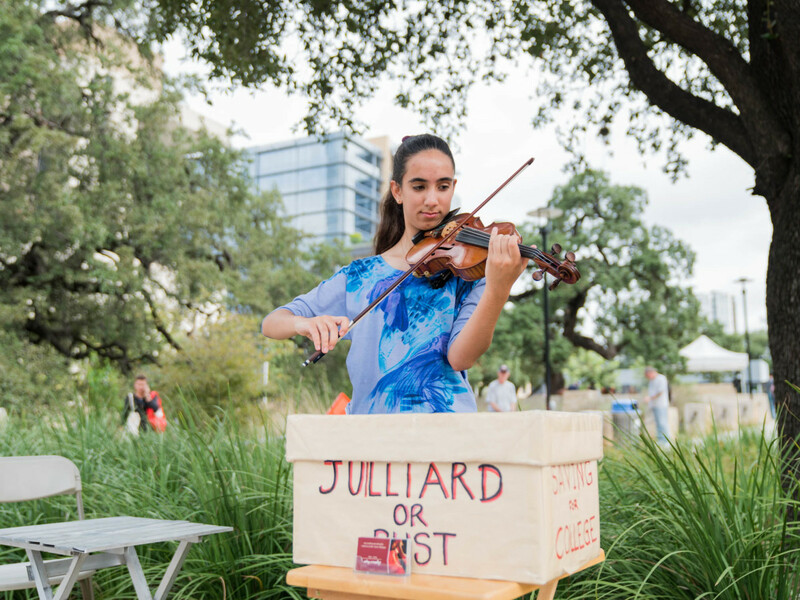 The Saturday farmers market surprise is the latest pop-up in Frost Bank's Opt for Optimism campaign, a movement designed to spread optimism by surprising and delighting Austinites all over town. 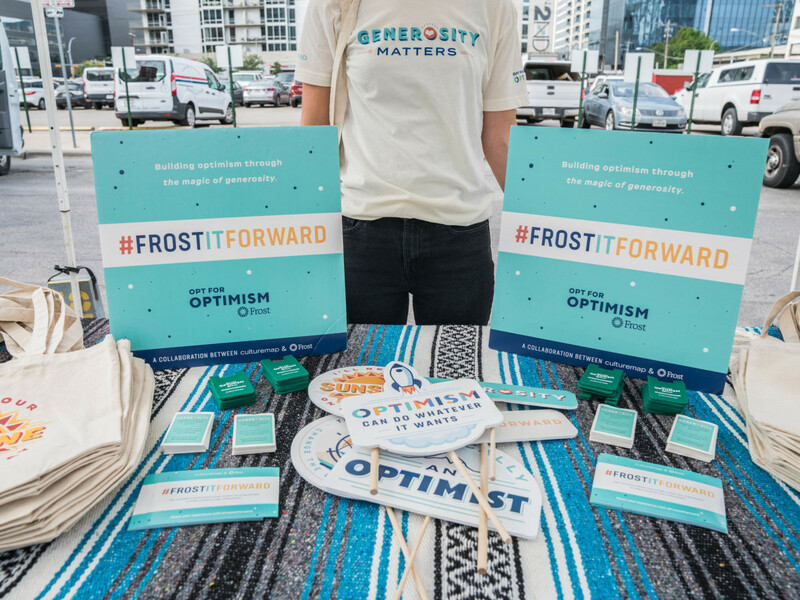 This event was the fourth in a series running all year long, so just because you didn't hit the farmers market this weekend doesn't mean you missed out on an opportunity to #frostitforward. 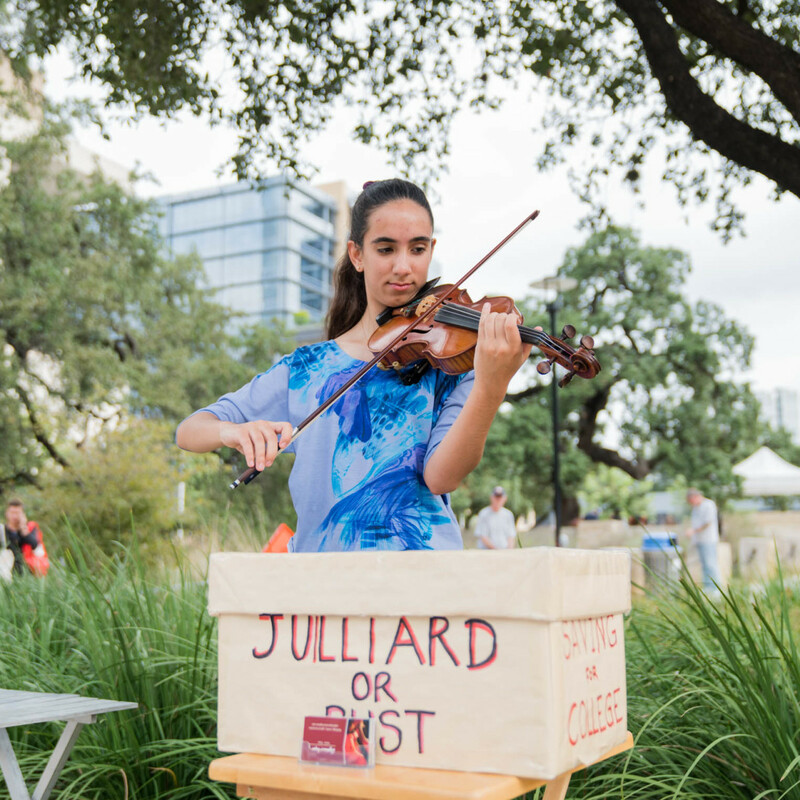 Follow along on Instagram and Twitter to get clues about our next surprise visit. 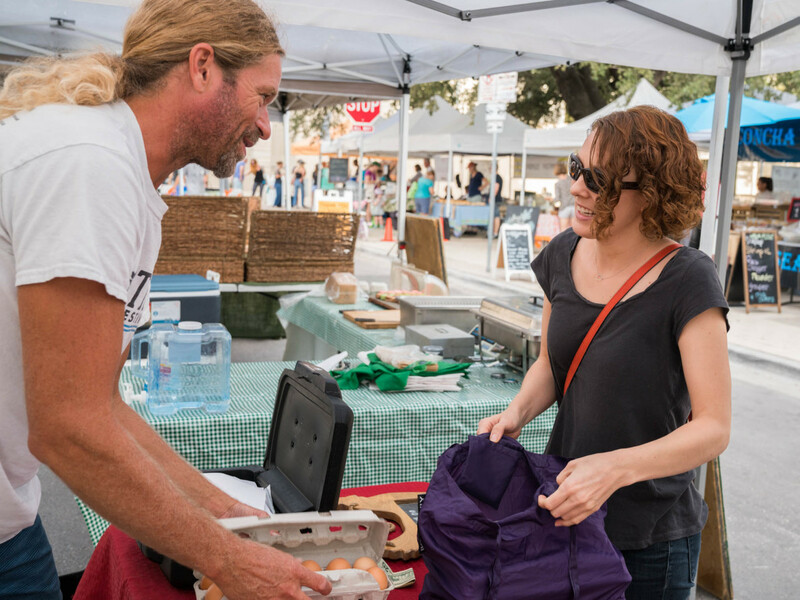 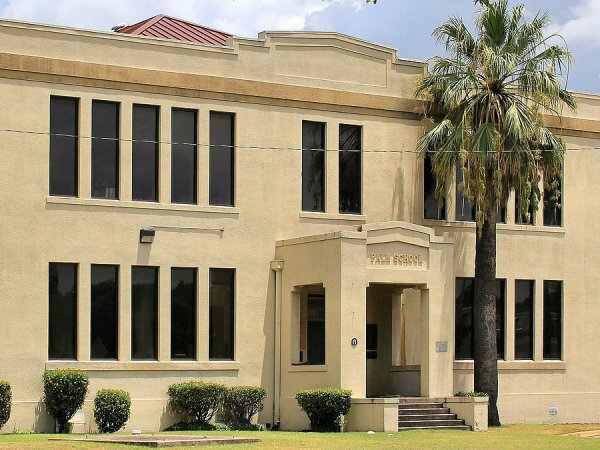 To help our fellow Austinites continue to give back and get involved, CultureMap has also launched a curated Austin Charity Guide, a one-stop destination for learning about area nonprofits and charities. 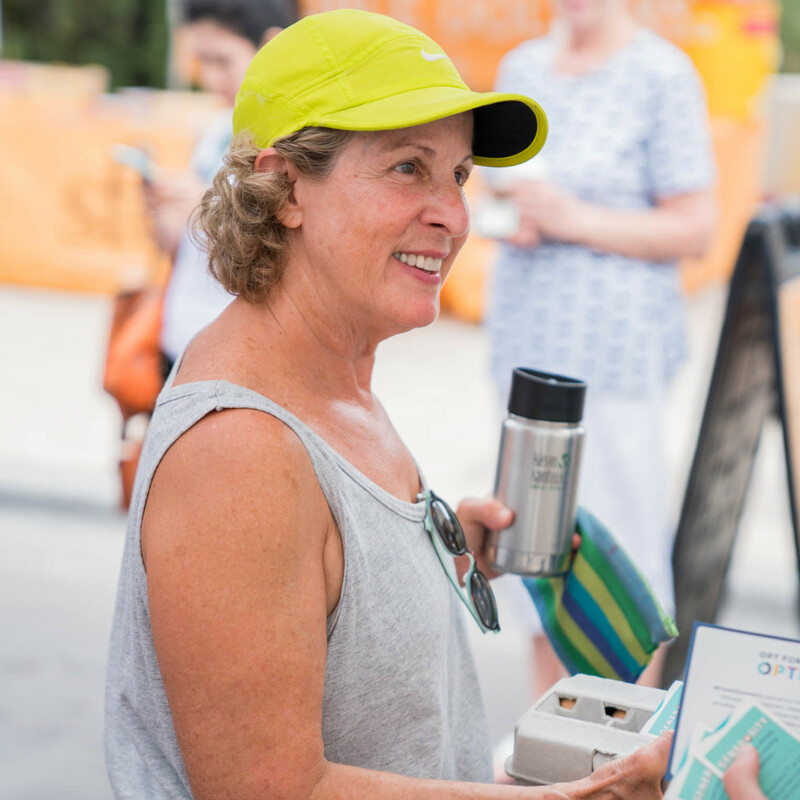 Follow along all year as we uncover the sweet and inspiring stories of fellow citizens giving back as part of our Charity Guide special editorial series.